I received the below mentioned complimentary product either for free or a discounted price for the purpose of this post. All opinions and thoughts are 100% my own. Founded in 1993 and still privately owned, Ware is led by an innovative team of professionals that are among the most knowledgeable in the industry. We are passionate about our mission to continuously offer new and exciting products that enhance the lives of pets and their owners alike. After all, we love our pets, too – and have quite an assortment among our team members, ranging from reptiles, to dogs, cats, rabbits, chickens and more. We even have three office cats! Please peruse our bio page to learn more about our incredible team members. We are concerned about the carbon pawprint we leave as a company and are committed to using recycled and recyclable material in the manufacturing of our packaging and pet products. Suited for small animals such as rats, guinea pigs, larger hamsters and Chinchillas. My pets mean the world to me and I treat them like so. We have carriers for all of our pets. My greatest fear is that there is a fire and we would just grab our pets and run but what happens when we get outside as we have 2 pets that would shriek continuously as they were not in their surroundings and another 2 pets that would take off if they were not in a carrier. 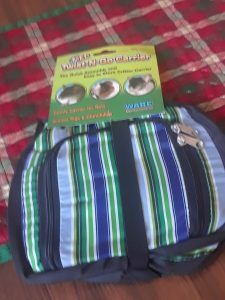 This is why I was so thrilled to include Ware Pets in my 2018 Holiday Gift Guide as this would make the perfect gift for anyone who has pets on your gift list. Not only was this very well made and has all the bells and whistles you would expect from a company who only does anything pet. These had to be the best priced products and you can go HERE to buy a pet item for yourself or that animal lover on your gift list. 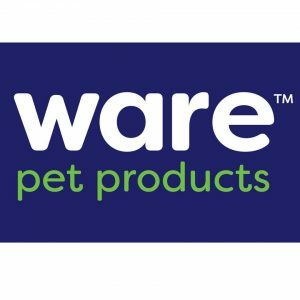 I give Ware Pets my highest recommendation and my thumbs up.